Our mission is to help inspire professionalism, build effective leadership and responsible citizenship, ideals reflected in communities that are preferred places to call home. The New Jersey Business & Industry Association provides information, services and advocacy to its sister companies in order to build a more prosperous and successful New Jersey. The Clean Trust is a non-profit and part of Service Restoration Systems where it promotes advancements in communication and technical proficiency within the inspection, cleaning and disaster restoration service industries. Protect yourself against exposure to lead and its side effects. Ethical Services provides the fastest and most thorough way in finding the top rated carpet cleaning company in your area to suit your specific needs. The IICRC's goal is to establish and advance globally recognized standards and certifications for the inspection, cleaning, restoration and installation industries. 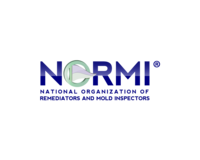 NORMI is a non profit organization and serves as a first responder in the war against indoor air quality and mold problems. The CRI Seal of Approval program identifies effective and efficient carpet cleaning solutions and equipment that clean carpets right the first time and protect a facility’s carpet investment.